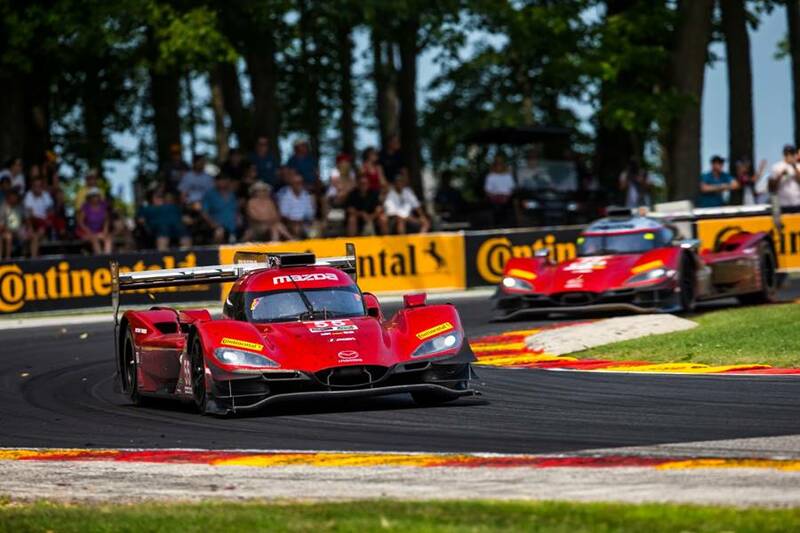 Both Mazda RT24-Ps ran in the top-three of IMSA’s Prototype class during Sunday afternoon’s Continental Tire Road Race Showcase at Road America in Elkhart Lake, Wisconsin with the No. 55 Mazda RT24-P leading the race with two laps to go. 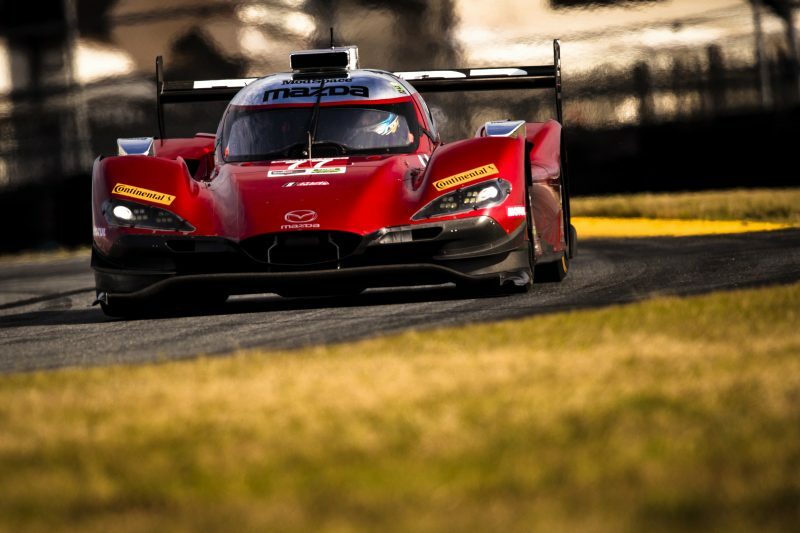 After qualifying in sixth and eighth positions, both the No.55 Mazda RT24-P started by Harry Tincknell and the No. 77 Castrol/ModSpace Mazda RT24-P started by Oliver Jarvis improved several positions during the opening portion of the race. 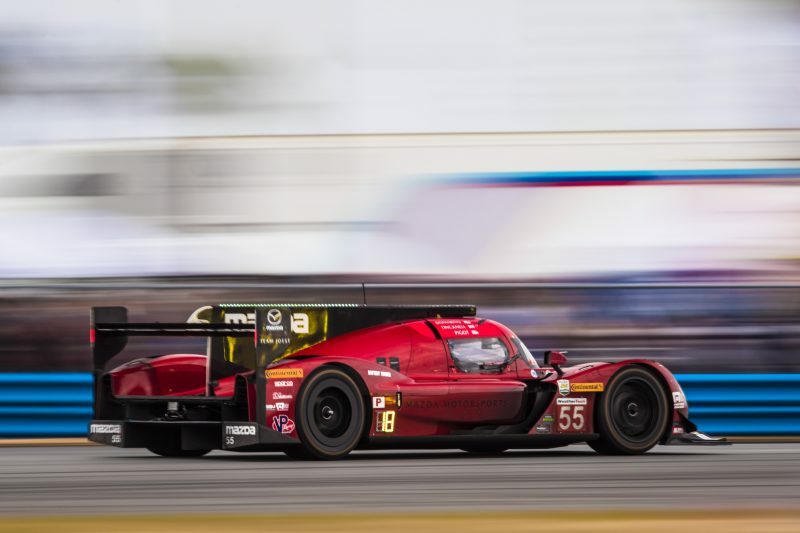 Fuel consumption and tire management would prove to be key issues in the heat of Sunday afternoon’s two hour and forty-minute race and were on the minds of the Mazda Team Joest engineers from the drop of the green flag. On what would prove to be the final stop for the No. 77 Castrol/ModSpace Mazda RT24-P, which was taken over by Tristan Nunez during the middle stages of the race, a damaged wheel nut slowed the pit stop significantly and dropped the car from podium contention. A decision to be aggressive with fuel strategy with the No. 55 Mazda RT24-P, which was taken to the finish by Jonathan Bomarito, put Bomarito at the front of the field and into the lead in the final laps. However, he was forced to make a splash for fuel with two laps remaining, meaning the No. 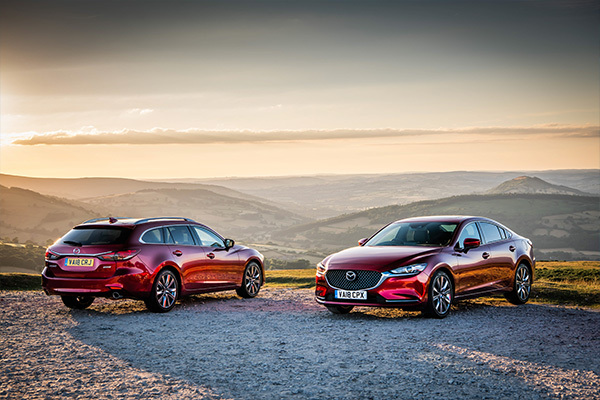 55 Mazda RT24-P finished in eighth and the No. 77 Castrol/ModSpace Mazda RT24-P finished in 11th. 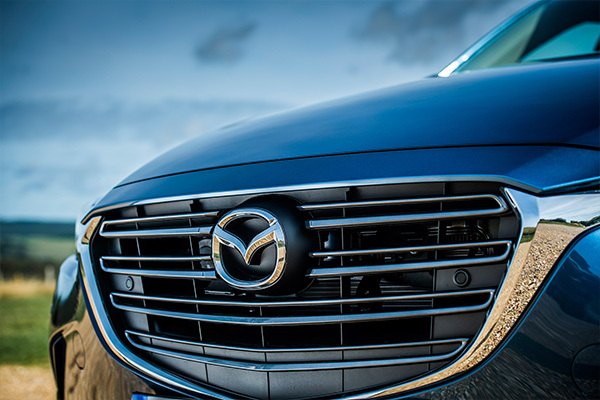 The next race for Mazda Team Joest is the Continental Tire Monterey Grand Prix at WeatherTech Raceway Laguna Seca on September 7-9.